Author: L'Amour, Louis Set In . . .
A young cowpuncher stakes a claim that can only be sealed with fists and a .44 Colt. . . . A gunfighter, tired of violence, finds himself pushed down a trail of bloody revenge. . . . From purple sage to gambler’s gold, from a señorita’s tempting smile to a splash of blood in the dust, here are stories with a distinctive L’Amour twist. A quiet farmer defends his honor in a moment of panic and luck . . . only to find true courage on the run from the dead man’s brothers. A young drifter defends a lady’s honor . . . and finds himself the quarry of a hanging posse. An aging marshal with a reputation as a crack shot faces a stranger who knows his secret. 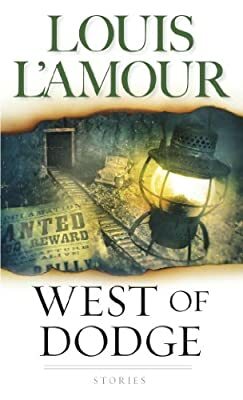 With relentless suspense and unforgettable drama, Louis L’Amour once again paints a vivid portrait of our western heritage that will live forever.